For years Americans have assumed that our hard-charging capitalism is better than the soft-hearted version found in Canada and Europe. American capitalism might be a bit crueler but it generates faster growth and higher living standards overall. Canada’s and Europe’s “welfare-state socialism” is doomed. It was a questionable assumption to begin with, relying to some extent on our collective amnesia about the first three decades after World War II, when tax rates on top incomes in the U.S. never fell below 70 percent, a larger portion of our economy was invested in education than before or since, over a third of our private-sector workers were unionized, we came up with Medicare for the elderly and Medicaid for the poor, and built the biggest infrastructure project in history, known as the interstate highway system. But then came America’s big U-turn, when we deregulated, de-unionized, lowered taxes on the top, ended welfare, and stopped investing as much of the economy in education and infrastructure. Meanwhile, Canada and Europe continued on as before. Soviet communism went bust, and many of us assumed European and Canadian “socialism” would as well. That’s why recent data from the Luxembourg Income Study Database is so shocking. The fact is, we’re falling behind. While median per capita income in the United States has stagnated since 2000, it’s up significantly in Canada and Northern Europe. Their typical worker’s income is now higher than ours, and their disposable income – after taxes – higher still. It’s difficult to make exact comparisons of income across national borders because real purchasing power is hard to measure. But even if we assume Canadians and the citizens of several European nations have simply drawn even with the American middle class, they’re doing better in many other ways. If you think we make up for it by working less and getting paid more on an hourly basis, think again. There, at least three weeks paid vacation as the norm, along with paid sick leave, and paid parental leave. We’re working an average of 4.6 percent more hours more than the typical Canadian worker, 21 percent more than the typical French worker, and a whopping 28 percent more than your typical German worker, according to data compiled by New York Times columnist Nicholas Kristof. But at least Americans are more satisfied, aren’t we? Not really. According to opinion surveys and interviews, Canadians and Northern Europeans are. They also live longer, their rate of infant mortality is lower, and women in these countries are far less likely to die as result of complications in pregnancy or childbirth. But at least we’re the land of more equal opportunity, right? Wrong. Their poor kids have a better chance of getting ahead. While 42 percent of American kids born into poor families remain poor through their adult lives, only 30 percent of Britain’s poor kids remain impoverished – and even smaller percentages in other rich countries. Yes, the American economy continues to grow faster than the economies of Canada and Europe. But faster growth hasn’t translated into higher living standards for most Americans. Almost all our economic gains have been going to the top – into corporate profits and the stock market (more than a third of whose value is owned by the richest 1 percent). And into executive pay (European CEOs take home far less than their American counterparts). America’s rich also pay much lower taxes than do the rich in Canada and Europe. But surely Europe can’t go on like this. You hear it all the time: They can no longer afford their welfare state. That depends on what’s meant by “welfare state.” If high-quality education is included, we’d do well to emulate them. Americans between the ages of 16 and 24 rank near the bottom among rich countries in literacy and numeracy. That spells trouble for the U.S. economy in the future. They’re also doing more workforce training, and doing it better, than we are. The result is more skilled workers. Universal health care is another part of their “welfare state” that saves them money because healthier workers are more productive. So let’s put ideology aside. The practical choice isn’t between capitalism and “welfare-state socialism.” It’s between a system that’s working for a few at the top, or one that’s working for just about everyone. Which would you prefer? Editor’s Note: As we reported yesterday, deliberate mass recruitment into welfare, including ads targeting illegal aliens, has been going on for years. Food stamps are the most inefficient, vastly expanding social welfare program in the country, according to a new study. Forty-seven million people participate in the Supplemental Nutrition Assistance Program (SNAP), commonly known as food stamps, and costs have increased over 358 percent since 2000. The increase in recent years cannot be attributed to the economic recession, according to Michael Tanner, a senior fellow at the Cato Institute, but lax eligibility requirements and an aggressive campaign by governments to boost their rolls. 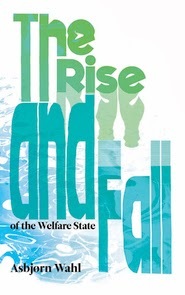 The welfare state has been under pressure since the mid-1980s and the onset of neo-liberal economic policies across Europe. Capital has used the current crisis to intensify this pressure further. In Southern Europe, this is often directly enforced through the Troika in exchange for bailout packages, but in other countries such as the UK too, drastic cuts are justified by reference to increasing national debt and the global financial crisis. Trade unions and civil society organisations have struggled hard to defend the welfare state, but it has been a defensive struggle all the way and many aspects have already been lost. Trade union rights have been curbed in many countries, key industries such as telecommunications and postal services privatised and core services such as health and education increasingly marketised. Full employment policies have been a thing of the past for quite some time. In this blog post, I will reflect on the nature and contents of the welfare state and the possibilities of defending its achievements. The welfare state is generally considered a major success of labour movements in industrialised countries. And indeed, as Asbjørn Wahl outlines in his book The Rise and Fall of the Welfare State, it was the strength of labour movements, built up in industrial struggles at the beginning of the 20thcentury, which forced concessions from capital against the background of regime competition during the Cold War. In exchange for continuing control over the means of production, capital accepted an expanded welfare state, policies of full employment and a strong role of trade unions in economic and social policy-making. Importantly, however, this is only part of the story. As Wahl also makes clear, the welfare state included desirable qualities for capital too. Employers rely to a considerable extent on a healthy, well-educated and highly trained workforce in order to remain competitive. An efficient infrastructure and the provision of public services are also important to capital. In short, the welfare state has never been more than a compromise. In exchange for public services and employment, labour movements had to give up their ambition to reform or revolutionise the system beyond capitalism towards a socialist society based on the common, socialised ownership of the means of production. If the welfare state is attacked now, then this implies that capital has renounced its side of the compromise. In times of high unemployment, there is a big enough reserve army of workers ready to snap up whatever job comes their way. Many labour intensive jobs are transferred to low wage countries, while capital increasingly focuses on the training of a small, highly educated workforce in industrialised countries. In any case, if there are not enough skilled workers, employers bring in migrant workers, who in turn are missing for development in their countries of origin. The general education of wider society is no longer a top priority. The fact that capital was able to renounce its part of the compromise ultimately reflects the change in the power balance in society since the early 1970s. Against the background of transnational production and deregulated national financial markets, the balance of power has decisively tipped in favour of capital and at the expense of labour. In this situation, defensive struggles to protect the welfare state are doomed to fail. Worst excesses may be avoided, the dismantling of services may be delayed, but ultimately the welfare state will be gone. What does this imply for the strategy of labour? In my view, the defence of something, which cannot be defended, is the wrong way forward. Is this not the time to return to the initial vision of transforming society beyond capitalism? A society in which universal access to health care, education, public transport, etc. is part of the very foundation rather than depending on the goodwill of employers? Is this not the time to mobilise the workforce afresh around a programme, which challenges capital much more fundamentally and puts forward the vision of a socialist alternative? Student loan debt forgiveness? Or welfare for banks? The new Archbishop of Canterbury has backed away from a row with ministers over welfare changes - and admitted he used to claim benefits himself. Justin Welby hailed Tory Work and Pensions Secretary Iain Duncan Smith for attempting a "brave" reform of "a system that most people admit is shot full of holes, wrong incentives, and incredible complexity". It comes after the Archbishop endorsed a letter at the weekend, signed by 43 bishops, that claimed capping benefit rises at 1% will have a "deeply disproportionate" effect on children. Writing on his blog, he said: "Like many parish priests’ families, we got benefits, and it was incredibly complicated. For lots of people in the parishes where I worked, taking some extra hours of work could actually lower income; that is exactly the kind of thing that the move to universal credit aims to change." In an interview with the Sunday Telegraph he had said that "children and families will pay the price" if plans to change the system go ahead in their current form, leading Mr Duncan Smith to respond by saying the current system trapped millions in dependency. The leader of the world's Anglican Communion described Duncan Smith as a "a leading and principled expert on welfare". "The work and pensions secretary is also attempting this series of reforms at a time when, through no fault of his own, government finances are more squeezed than at any time in peace since the 1930s," he wrote. "And reforms cost money. So he also has to manage a considerable task. "Having met him, I am absolutely convinced he is trying to do something that he knows more about than most - and with the best possible motives. "But, with a number of other Bishops (and we tend to live in, or have lived in, or have clergy living in, the most affected parts of our country), I feel that the particular way the burden is being shared is wrong." Welby said he was not making a great, grand political gesture, but a "reasoned questioning of something that a lot of people are concerned about", adding: "Perhaps a little less heat and a little more clarity would help." The archbishop, who will be formally enthroned at Canterbury Cathedral on 21 March, went on London radio station LBC on Monday evening, but the station said he declined to discuss welfare while on the drivetime show with Ian Dale. Lambeth Palace was not immediately available for comment. The archbishop, an Old Etonian former banker who sits on the Parliamentary Commission on Banking Standards, described the EU's plan for a cap on bonuses as a "blunt instrument" that could lead to basic salaries - which are already very high - rising to make up the difference. "I think there is a fundamental question though which I've been asking on the Banking Commission, together with loads of other people including people you wouldn't describe as exactly left wing like Nigel Lawson and people like that, just questions about the overall level of pay in the banking world compared to the level of pay in other sectors of life," he said. "And there seems to be a big gap that we should be rather cautious about." Chancellor George Osborne should announce further cuts to the welfare budget and the civil service, former Cabinet minister Liam Fox said as he indicated he would like to return to frontline politics. Dr Fox, a standard-bearer for the Tory right, called for deeper reductions in public spending and tax cuts for businesses as he identified economic growth as the key factor if the Tories are to win the next election. "That means that we are paying more in debt interest than we are spending on defence and overseas aid and the foreign office all combined." He said Mr Osborne should target the welfare budget and the size of Whitehall as areas for spending cuts.But he also called for a package of tax cuts to boost business. "Cutting taxes on business I think is key to get more people into work, I personally would like to see capital gains tax taken down to get more activity into the economy. We need to be creative: if we are creative we get growth, if we get growth we get re-election. Fox acknowledged there had been "muttering" about David Cameron's leadership but insisted the Prime Minister had silenced his critics over Europe. He praised Mr Cameron's announcement that a Tory government would offer an in/out referendum on membership of the European Union, which he claimed had blunted the threat to the Tories posed by the UK Independence Party (Ukip). "What would be the point in a general election of voting for a party like Ukip ... when the Conservatives will promise and deliver a referendum if we are elected, and voting for a party like Ukip can only increase the chance of Labour being re-elected and they will deny the voters a choice," he said. Asked if he would take a post in the government if Mr Cameron offered it, Dr Fox said anyone offered the chance to serve their country "ought to say yes". Questions about Mr Cameron's leadership have been asked in recent weeks after reports that backbencher Adam Afriyie was being touted as a potential successor. Asked on Sky News' Murnaghan programme if Mr Afriyie was a "stalking horse" acting as cover for his own leadership challenge, the former Cabinet minister said: "I've been in Parliament for nearly 21 years and I can never remember a time in all 21 years when there wasn't muttering going on about whoever was the party leader at the time or prime minister at the time. "Party leaders have to get over that and go ahead and do what they believe to be correct. The Prime Minister got a great victory for the UK at the EU summit this week, which of course all those defeatists said would not be possible. "He went in, negotiated hard, showed considerable diplomatic skill and got a great outcome for the United Kingdom." Dr Fox quit the government over his controversial relationship with self-styled adviser Adam Werritty but indicated he would accept an offer of a return to the ministerial ranks from Mr Cameron. "That's not a question for me, that's a question for the Prime Minister and I'm sure he will have his view on that. "If anyone was asked by a prime minister if you are willing to serve your country I think they ought to say yes." On Fox & Friends this morning, the Curvy Couch Crew gnashed their teeth over the the fact that President Obama is riding high in popularity even as the economy shrank in the last quarter for the first time since 2009. How could it be unexpected? All you've gotta do is look at what's about to happen. We're about to decimate the national security. There's a possibility the 1.2 million security jobs could be lost in this country, plus all the regulations placed on businesses with the Affordable Care Act. It's shocking that the number isn't worse. Brian Kilmeade, noting that the stock market is up, but consumer confidence down, cried out, “But the president's approval rating is 60%! It's like he's impervious to numbers!" Having established the economic gloom and doom, they then turned to the question of why President Obama is so popular. Of course, they could have done a teensy bit of research and discovered that the country received his second inaugural address very favorably. Despite Fox News' best efforts. Or that, as Nate Silver recently pointed out, Obama “has at least a slim majority of Americans in his corner” on most of the issues he raised, including guns, climate change and immigration. Also despite Fox's best efforts. You mean like Benghazi? Or birtherism? You didn't build that? Or how the polling was not accurately predicting Romney's victory? However, Carlson did dig up a tweet from Republican Senator John Thune responding to Jay Carney's remarks and asking, “What planet do these guys live on?" Um, maybe the one where S&P downgraded the U.S. credit rating because of Republican "brinksmanship." But you probably won't hear much about that on Planet Fox News. If you want to understand the trouble Republicans are in, one good place to start is with the obsession the right has lately developed with the rising disability rolls. The growing number of Americans receiving disability payments has, for many on the right, become a symbol of our economic and moral decay; we’re becoming a nation of malingerers. It looks a lot less dramatic, doesn’t it? In 1984, lawmakers enacted the Disability Benefits Reform Act, which expanded the ways in which people could qualify for the DI program. That legislation, in addition to reversing several of the cost-containment measures enacted as part of the 1980 Social Security Disability Amendments, shifted the criteria for DI eligibility from a list of specific impairments to a more general consideration of a person’s medical condition and ability to work. The legislation allowed applicants to qualify for benefits on the basis of the combined effect of multiple medical conditions, each of which taken alone might not have met the criteria. It also allowed symptoms of mental illness and pain to be considered in assessing whether a person qualified for admission to the DI program, even in the absence of a clear-cut medical diagnosis. So yes, there has been some liberalization of the criteria — if you have multiple interacting conditions or mental illness, you may qualify in ways you didn’t before — but that liberalization is pretty reasonable. It’s still quite hard to qualify for DI. What strikes me, however, isn’t just the way the right is trying to turn a reasonable development into some kind of outrage; it’s the political tone-deafness. I mean, when Reagan ranted about welfare queens driving Cadillacs, he was inventing a fake problem — but his rant resonated with angry white voters, who understood perfectly well who Reagan was targeting. But Americans on disability as moochers? That isn’t, as far as I can tell, an especially nonwhite group — and it’s a group that is surely as likely to elicit sympathy as disdain. There’s just no way it can serve the kind of political purpose the old welfare-kicking rhetoric used to perform. The same goes, more broadly, for the whole nation of takers thing. First of all, a lot of the “taking” involves Social Security and Medicare. And even the growth in means-tested programs is largely accounted for by the Earned Income Tax Credit — which requires and rewards work — and the expansion of Medicaid/CHIP to cover more children. Again, not the greatest of political targets. The point, I think, is that right-wing intellectuals and politicians live in a bubble in which denunciations of those bums on disability and those greedy children getting free health care are greeted with shouts of approval — but now have to deal with a country where the same remarks come across as greedy and heartless (because they are). And I don’t think this is a problem that can be solved with a slight change in the rhetoric. Sky News has uncovered shocking animal welfare conditions at a UK horse abattoir. They include animals being beaten, neglected and illegal procedures in the process of slaughtering British horses destined for European food markets. It comes amid public anger that some of our biggest supermarkets have been selling beef burgers and other products that contained horse meat . Sky News visited the Red Lion Abattoir near Nantwich in Cheshire after concerns were raised by Animal Welfare Group Hillside Animal Sanctuary. Investigators at Hillside fitted secret cameras which filmed horses being beaten with an iron rod to encourage them into the pens. Some were then crammed into the slaughter pens in pairs and, on one occasion, a group of three, before being stunned together. In harrowing images the horses fall on top of each other. Under The Welfare of Anim als Act 1995 , horses should not be slaughtered in sight of one another because of the distress it causes. Furthermore, Sky News found that sick or injured horses were left untended overnight rather than put down immediately. As a result of the investigation, two slaughter men have had their licences revoked. Craig Kirby, head of approvals and veterinary advice at the Food Standards Agency (FSA) told Sky News: "As soon as we got the footage and reviewed it we took immediate action to revoke the slaughter men's licences. "That means they cannot work to slaughter animals again. We will also look to gather further evidence to see if we can prosecute." Former government chief veterinary officer Keith Meldrum, who viewed the footage, said he was shocked by what he described as "appalling" welfare breaches. "We see three animals stunned at the same time and it is totally illegal and contrary to welfare slaughter regulations," he said. "It's a significant welfare problem for a number of reasons. It's harder to render them unconscious in a group and they have a higher chance of regaining consciousness before you've completed the procedure." Another incident filmed included a horse that appeared to come round from the stun while being hung upside down before being bled. Mr Meldrum described it as "totally and completely unacceptable". FSA statistics released to Sky News show a dramatic increase in the number of UK horses slaughtered every year, from 3,859 in 2007 to 8,426 in 2012. Depending on the size and breed they are bought for anything between £100 to £300 and can fetch around 700 euro on the European meat markets. The animals come from a variety of backgrounds. Some are former pets, others come from show jumping or the race track. A report last year from the British Horseracing Authority (BHA) found: "The number of thoroughbreds reported dead to the Horse Passport Issuing Authority rose by 580 - an increase of 29% - from 1994 to 2574 horses. "Of these, 1127 horses either in training, breeding or out of training were reported as killed in abattoirs - and reported to the Government Meat Hygiene Service - from 499 horses in 2010, an increase of 126%." However, in a statement to Sky News, the BHA added: "This is a wider equine issue and not an issue for the British racing industry, which is one of the country's most highly regulated equine pursuits. "However, if there are allegations that any horse, whether thoroughbred or not, is being inhumanely treated in an abattoir we would fully support any investigation and subsequent action, if appropriate." During the investigation, Hillside Animal Sanctuary rescued one racehorse called Underwriter by bidding against the abattoir at auction. They discovered it had a distinguished career. John Watson, from Hillside, said: "It's not just ill and old horses being killed. There are very many fit and healthy horses, horses with foals, pregnant mares, and thoroughbreds that are being treated badly. "It blows away the myth of humane slaughter, and there is a misery in that place that is palpable." Hillside's lead investigator, who did not want to be identified, added: "What we've found has shocked us deeply; animals left with horrendous injuries and horses shot on top of each other. "In all the years I've been doing this work, without doubt it's the most harrowing experience I've come across. All the horses in there had their heads hung down." The Red Lion Abattoir told us it views animal welfare and public health with paramount importance. In a statement it said: "In attendance at the The Red Lion Abattoir are three full time Food Standards Officers comprising of an official veterinarian and full-time meat hygiene inspectors throughout production." It said the incidents were "not the norm, but of an isolated nature" and they have taken disciplinary action against the individual featured. The statement continued: "I agree horses should individually enter the stunning area and most certainly not three at a time. "However, small horses and ponies having spent years together as companions are difficult to separate. Horse lovers would understand that. "My opinion and that of other veterinarians is it is better to keep those types together to reduce the stress, providing swift dispatch is achieved." The Red Lion Abattoir also insisted it meat was not part of the recent supermarket burger scandal. The horses there are destined to be served in European food markets. The scandal this time is the way they are treated, in the last moments of their lives, in a licenced British abattoir. Roly Owers, chief executive of World Horse Welfare , viewed the footage and said: "The breaches, from what we've seen, are throughout; from the care of the animals to the slaughter process. "Horses are intelligent animals. When they see an animal stunned in front of them you can only imagine the distress that animal is going through. There are, without doubt, welfare issues here and it is plain illegal." The RSPCA said "The footage is shocking and upsetting to watch." They have requested a full copy of the film with a view to investigating. Labour MPs have slammed the Lib-Dems for backing the government's welfare benefits cuts. British Labour MPs have criticized the Liberal Democrats for ensuring a Commons victory in the coalition government’s benefit changes. Reacting to the support of the Tories’ coalition partners for the controversial Welfare Uprating Bill, Halton Labour MP Derek Twigg said that the Liberal Democrats should "hang their heads in shame." Only four of the 57 Liberal Democrat MPs voted against the government’s plans to limit annual increases in working-age benefits to 1 percent for the next three years. Two other Liberal Democrats voted both ways in a form of abstention. Twigg said Labour MPs would also pursue ministers to find out how many disabled people will be hit by the Bill. Labour backbenchers spoke passionately about the suffering of poor people in their own constituencies, but the government side ran out of speakers for the debate in the Commons on January 8 an hour before the end. North Durham MP Kevan Jones interrupted an angry outburst by right-wing Tory Aidan Burley to tell him, "The only worklessness in this chamber today is on the Tory back benches. There has been an average of only 12 Tory backbenchers all afternoon." This comes as the Institute for Fiscal Studies (IFS) said about 7 million working households in the UK will have their incomes slashed by the benefits cap introduced by the Chancellor George Osborne. Ed Miliband has accused Cameron of attempting to "divide and rule" after the House of Commons voted in favour of legislation to impose real-terms cuts on welfare. Wednesday's vote exposed tensions between the coalition parties, with four Liberal Democrat MPs - including ex-minister Sarah Teather - rebelling by voting against the Welfare Benefits Uprating Bill, while former leader Charles Kennedy abstained. Mr Kennedy said he wanted to see changes to the legislation, which caps benefit rises at a below-inflation 1% for the next three years, before it becomes law. Charities which work with poor families voiced dismay at the outcome of last night's vote, which saw MPs give the Bill a second reading by a majority of 56, clearing the way for more detailed scrutiny in committee. But Mr Cameron insisted the cap - branded a "strivers' tax" by Labour - was "fair" at a time when wages are increasing only slowly. In a message on Twitter, the Prime Minister said: "The Commons vote to limit benefit rises to 1% while pay is only rising at 1% is fair. Labour have the wrong priorities." Work and Pensions Secretary Iain Duncan Smith told MPs that benefit levels had grown by 20% since the beginning of the recession, while incomes for those in work have risen by just 10%. "What we are trying to do over the next few years is get that back to a fair settlement and then eventually it will go back onto inflation," he said. The cap, announced by Chancellor George Osborne in his Autumn Statement last year, is aimed at slashing £5 billion from the welfare bill over the next five years. Mr Osborne has previously justified it by asking: "Where is the fairness... for the shift-worker, leaving home in the dark hours of the early morning, who looks up at the closed blinds of their next-door neighbour sleeping off a life on benefits?" But Mr Miliband said the benefits debate marked "a fork in the road for the country", citing figures showing that almost 70% of those who will lose out from the changes are in employment. "It's now clear what the government's strategy is: it's a divide and rule strategy," the Labour leader told the Daily Mirror. "They haven't succeeded in the first two-and-a-half years so they want to point the finger of blame at someone else so it doesn't get pointed at them. And therefore they are trying to divide and rule. "They are cutting taxes for millionaires while hitting low-paid people, those people whose curtains are open when George Osborne gets up and still open when he goes to bed." Mr Kennedy, who voted in both the Yes and No lobbies to register his abstention, said he was now "looking now to work with like-minded Lib Dems to amend the bill in its later stages". Ms Teather, who lost her job as children and families minister in September last year, hit out at Tory ministers' characterisation of the measure as a division between "shirkers and strivers", warning it would have "long-term impacts on public attitudes, on attitudes of one neighbour against another". She was joined in the No lobby by fellow Liberal Democrats David Ward, John Leech and Julian Huppert. Andrew George also abstained by voting in both lobbies and a further three Lib Dems who had earlier voted against a Labour amendment were absent for the key division. Labour former foreign secretary David Miliband said the "rancid" bill was motivated by "the politics of dividing lines". "The enemy within is not the unemployed, the enemy within is unemployment. I don't want to live in a society where we pretend that we can enjoy the good life while our neighbours lose their life chances," he said. But Mr Duncan Smith accused the last Labour administration of "spending taxpayers' money like drunks on a Friday night" and "buying votes" by increasing handouts. Labour had tied increasing numbers of households into the benefit system and created a "ridiculous nonsense" which made nine out of 10 families with children eligible for tax credits, he said. Barnardo's chief executive Anne Marie Carrie warned that MPs risked condemning children in Britain's poorest families to "growing up stuck in the poverty trap, as their parents struggle to cover basic costs of living". And Oxfam's director of UK poverty, Chris Johnes, said working-age benefits which poor families rely upon were being made to bear the brunt of Government cuts. "On top of this, inequality will deepen as the proposed changes in the bill are undoubtedly going to hit poor families hardest." As MPs gather to vote on plans to cap benefits and slash a further £5 billion from the welfare bill, a single mother affected by the cuts told the Huffington Post UK: "I don't know how I will survive." The Welfare Uprating Bill proposes a 1% cap on most working age benefit payments and tax credits, ending inflation-linked rises and introducing what will be a real-terms benefits cut. Ministers say the cap is needed because it is unfair that welfare payments have been rising twice as fast as wages during recent years of austerity. However charities and campaign groups have slammed the 'indefensible' legislation, saying it will punish the most disadvantaged, deepen inequality and increase child poverty. Sarah Easterbrook, 39, has a 16 hour contract at a large supermarket chain. She'd like more hours but they don't have them at times which would fit around her childcare. She brings home around £1000 a month with her tax credit. She told the Huffington Post UK it is a daily struggle to make ends meet and that if her benefits were to be capped it would be devastating. "By the time I’ve paid for fuel, gas bills, council tax and rent I’m left with £50 a month and I’m meant to clothe and feed my child with that. "My mum was paying for my daughter’s packed lunches for a while because I just couldn’t afford to pay it. I don’t qualify for school meals because I work part time and they cost around £40 a month," she said. "Family and friends tell me to give up work but I don’t think that would solve anything. I’ve worked all my life and I just couldn’t sit at home all day. Sarah's daughter is five years old. Her daughter’s father has stopped making child support payments and the Child Support Agency are unable to trace him. She said she's noticed food prices increasing over the past year, and is worried as she is already having to cut back on food. "I don’t know how I will survive if any benefits are capped. At the moment the grocery shop seems to be the one taking the cut because I’ve already cut back as much as I can. "I struggle most days just making ends meet. I buy bits and pieces of food every day and if I’m lucky I can do a big shop every two months. That’s to buy things like detergent, maybe put some tins of food in the cupboard and putting some stuff in the freezer. "There’s just not any more hours available for me to do at work: I’m restricted over times because I need to take my daughter to school and back." Work and Pensions Secretary Iain Duncan Smith said the decision to cap some benefits was not taken lightly but was necessary to tackle the deficit. 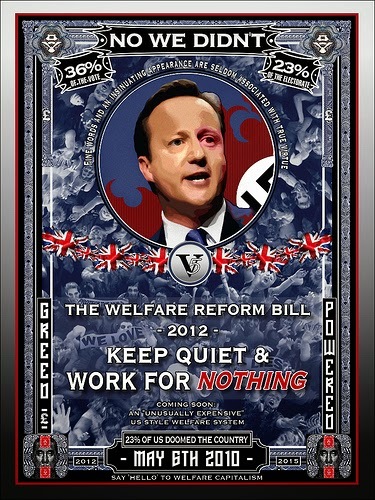 Clegg has also defended the bill, saying the three-year-squeeze was necessary to stop schools and the NHS from suffering. However Ms Eastbrook said that the government didnt understand how the cuts were really affecting people. Her story of a working woman still struggling on benefits is at odds with the 'strivers and shirkers' rhetoric by the Conservative party which has also come under fire. "It really annoys me because they don’t understand what it is like to struggle. There’s not a lot you can do; it’s just the way this government seems to be. "People who are working part time will soon have to do cash in hand jobs just to get by. The government will push them to it and that’s not right." Alison Garnham, chief executive of Child Poverty Action Group, criticised Iain Duncan Smith in a statement, quoting comments he made in November that "this government will always stand by its commitment to tackle child poverty". "But the impact assessment does nothing to explain how he can square that statement with this poverty-producing bill,” she said. “The truth, of course, is that the main impact of this bill will be to make life much more difficult for millions of ordinary families, whether they are surviving on meagre benefits or relying on tax credits to make work pay." Analysis of the Welfare Benefits Up-rating Bill by the Institute for Fiscal Studies (IFS) found half of working-age households with someone in work would be affected in some way. The average loss would be £165 a year for seven million families - compared with around £215 for the 2.5 million workless households hit by the cap, it said. Matthew Reed, chief executive of the Children's Society, said the bill will hit families across the board, adding "From a nurse with two children losing £424 a year by 2015, to the army second lieutenant with three children losing £552 a year, this will hit children and families from all walks of life. At least two Liberal Democrat MPs have said they will rebel tonight by opposing the cap, with another warning that a "large number" were opposed to the measure. Labour is voting against the legislation too, pointing to analysis showing seven million working households will lose out by an average £165 per year. In Commons clashes ahead of the debate - deputy Labour leader Harriet Harman said the government had "failed on compassion". Video: Butchers v vegans: Is it OK to attack meat businesses to save animals? Is It Time for Parents to Unionize? There’s Never Been A Better Time To Go Back To Mexico! ‘Why Are White Men Stockpiling Guns?’ Because They’re Uneducated Racists? Prison Planet.com » Why is liberal California the poverty capital of America?